The Transit, from the German-American manufacturer Ford, is a full-size panel van, first introduced in 1953. Ford is just now beginning the delivery of its 2014 model. It's a completely revamped version of the 2000 Transit that, up to now, had seen only minor changes. Ford has introduced a series of noteworthy innovations, bringing it to the level of the best European van models in the same category. In this newest version, it is important to note the absence of the gutter rail, typical of the older large vans. 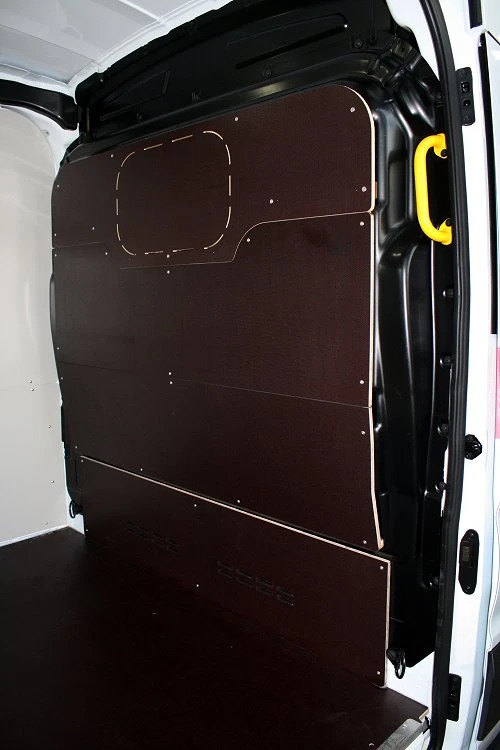 This allows the sides doors come up nearly flush to the van roof, allowing for unobstructed use of the available cargo space. In keeping with Ford tradition, the Transit comes in lots of variations: front, back or four wheel drive, L2, L3 and L4 lengths and H2 and H3 heights. The 2.2 TDCi motor comes in 110, 125 or 125 Hp. Depending on the model, the loading space varies from 9.5 cubic meters to 15.1. Compared to the older model, it's a 10% increase in space, thanks to the cleaner lines. 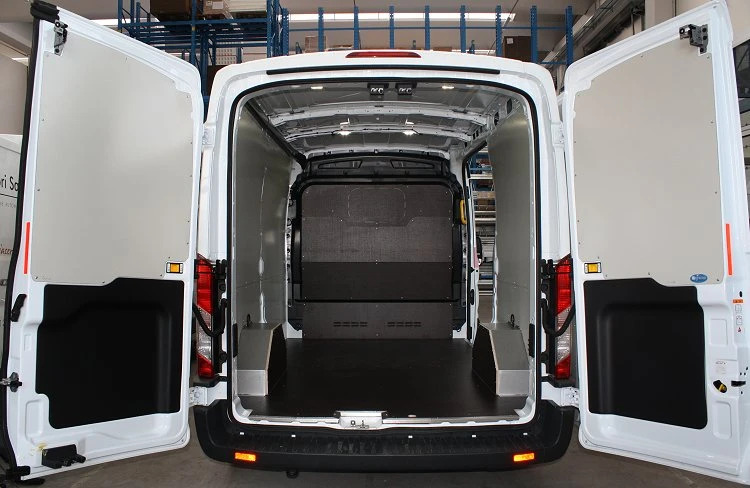 Just as the 2014 Transits are rolling off the line, the Syncro technicians have been busy designing and producing the entire line of interior linings. 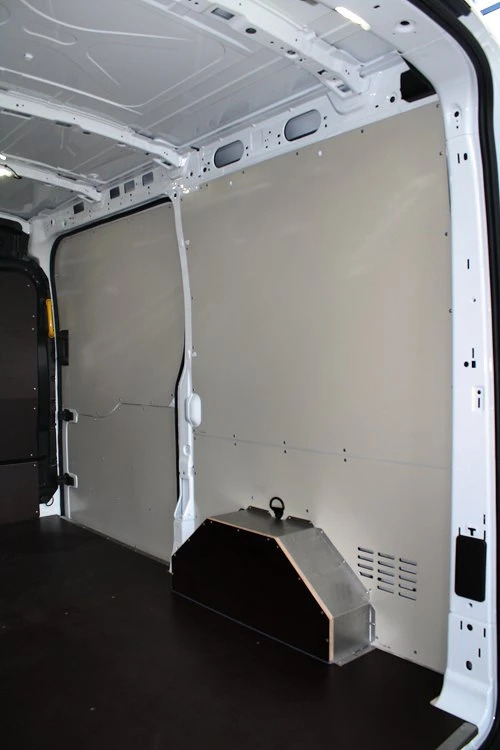 On this page we see the 2014 Transit plywood floor panel complete with steel anti-slip edges, interior lining kit: paneling for the upper part of the back doors, the plywood bulkhead panel, and the galvanized steel and wood wheel arch covers. 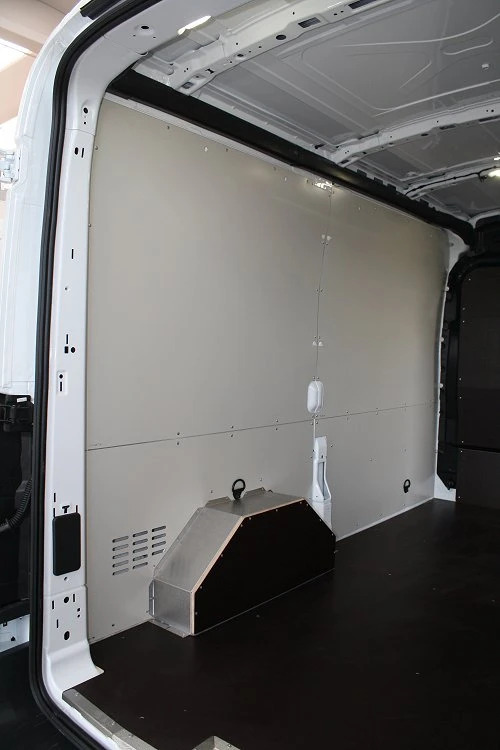 The floor and bulkhead panels are also available in chequered-plate aluminum, while wall and door paneling in pre-coated galvanized steel, aluminum or plastic. 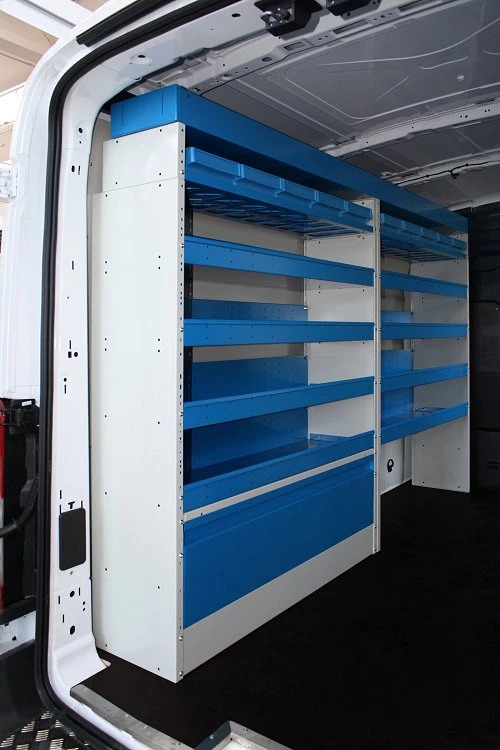 Everything necessary to protect your Transit's loading space from daily wear and tear. All components are pre-cut, pre-drilled by laser to ensure easy and super fast installation. 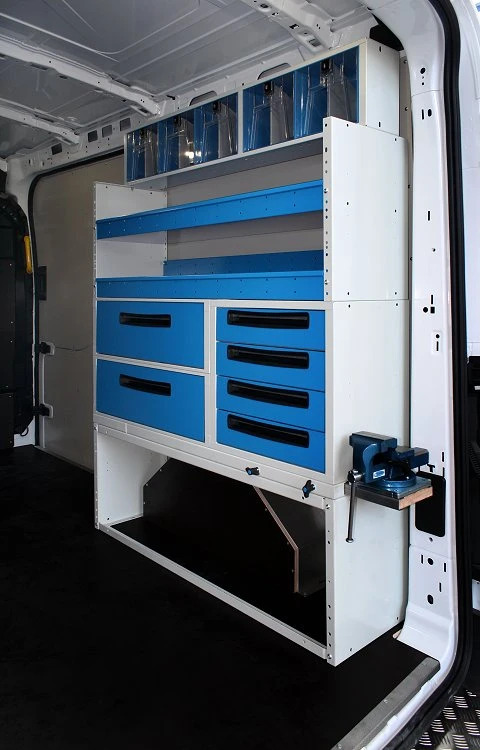 This Transit upfit includes shelving and drawer units, with installation made easier due to the broad and linear loading space. 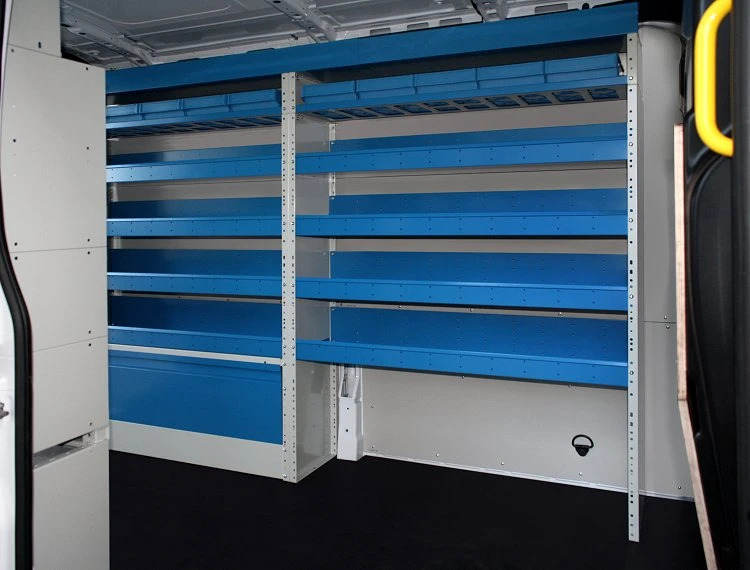 We installed 2.5 meters of shelving along the left-hand side and another 1.25 meters on the right-hand side, where you'll also find a pull-out work top / vise mount, complete with 125 mm vise. 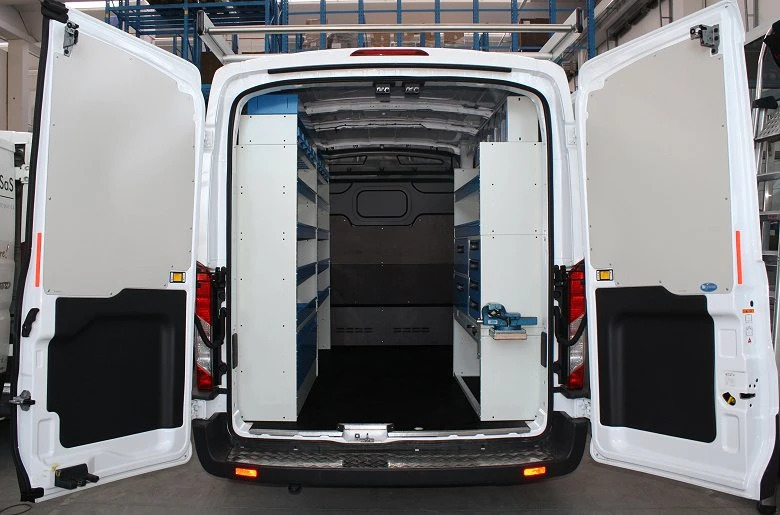 The sides of the new Transit are much straighter than the older versions, allowing for much more efficient use of space and a better fit of the racking components. We have also added a rear bumper cover in anti-slip chequered-plate aluminum. Also immediately available is the Transit roof rack system – thanks to Syncro's tradition of total modularity, each rack is customized to you. Syncro offers more than a choice of roof racks – you get an entire modular system to create a rack that best fits your exact needs. On this Transit we mounted three cross bars, side bars and a rear rolling bar. 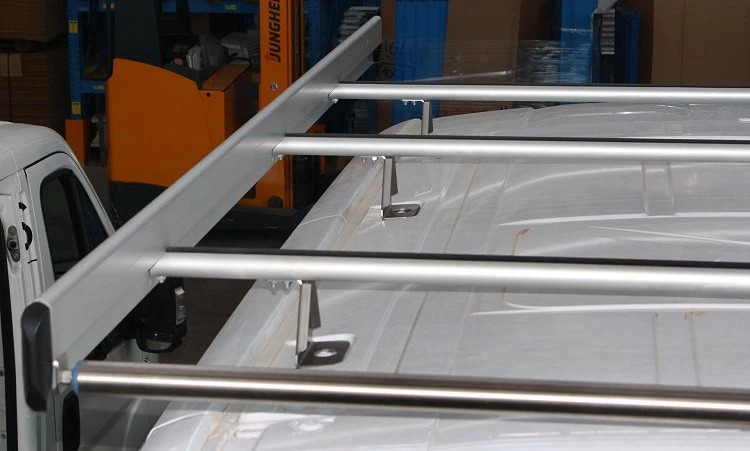 The cargo bars can also be sold individually with the possibility of adding triangular load stops. In the Syncro catalog, you'll also find Transit ladder racks. It's possible to mount one, adding a side bar, or an additional ladder rack. Last but not least is the tube holder that can be easily mounted to any of the modular components.